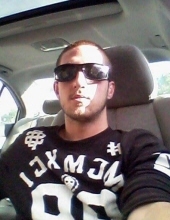 Josh L. Pennetta, 24 of Broomfield, passed away on March 26, 2019. Services will be held Thursday, April 4 at 3:00 p.m., at the Church of Jesus Christ of Latter-day Saints in Lakewood. To send flowers or a remembrance gift to the family of Joshua Lee Pennetta, please visit our Tribute Store. Please join us for a reception at church immediately following the funeral service. "Email Address" would like to share the life celebration of Joshua Lee Pennetta. Click on the "link" to go to share a favorite memory or leave a condolence message for the family.